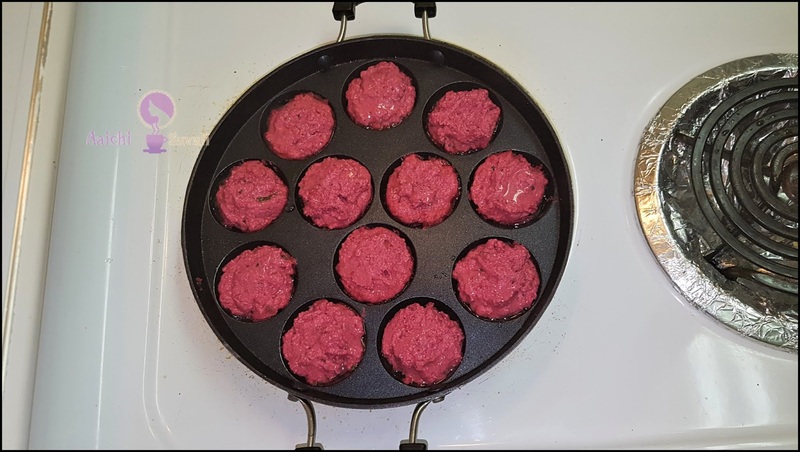 beetroot appe recipe, you would be surprised how this healthy breakfast idea requires minimal effort when you put into practice. Try this superfood twist, which is packed with vitamins and minerals. 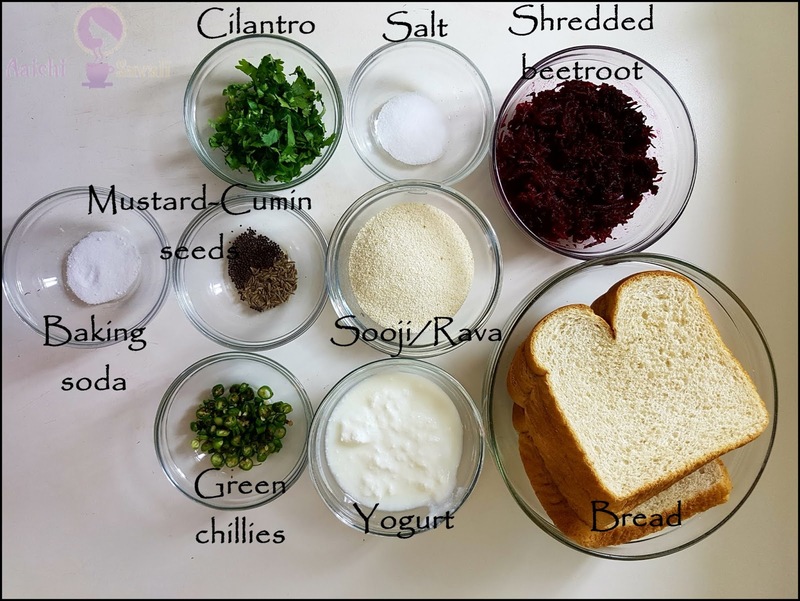 Take beetroot to a whole new level by making it savory breakfast and snacks. Sometimes simple is just better and beautiful and bright color of beets can make anyone fall in love with it. Beetroot is low in fat, full of vitamins and minerals and packed with powerful antioxidants, Rich in vitamin C and most important it helps in absorption of iron. Beets are healthy no matter how you prepare them. 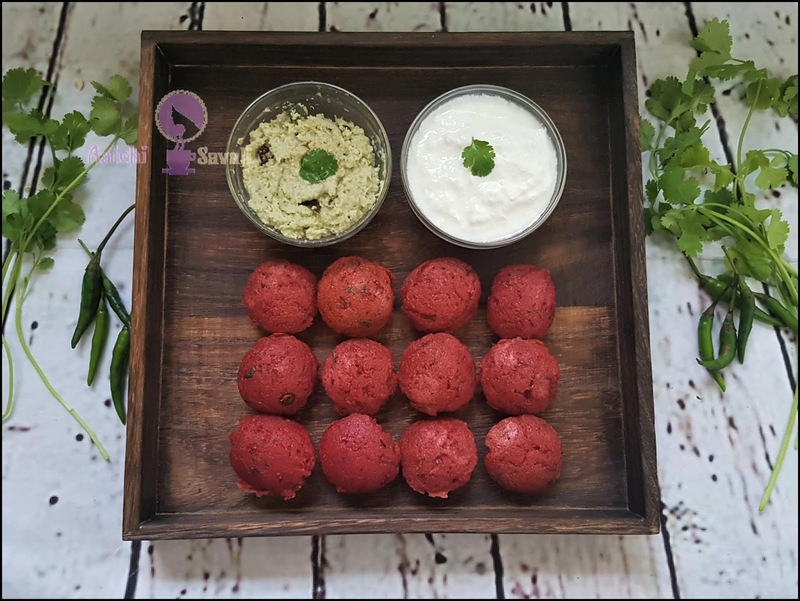 I have served this beetroot appe with coconut chutney, or you can serve it with some spicy condiment or yogurt. It is prepared using 1 Tbsp oil. A lot of people do not like beet, especially kids. If you don't like beetroot or any greens then adding them to the batter (idli, dosa, appam or Paratha Dough) is a great way to sneak them into your diet. And I am sure you will love the taste of twist. 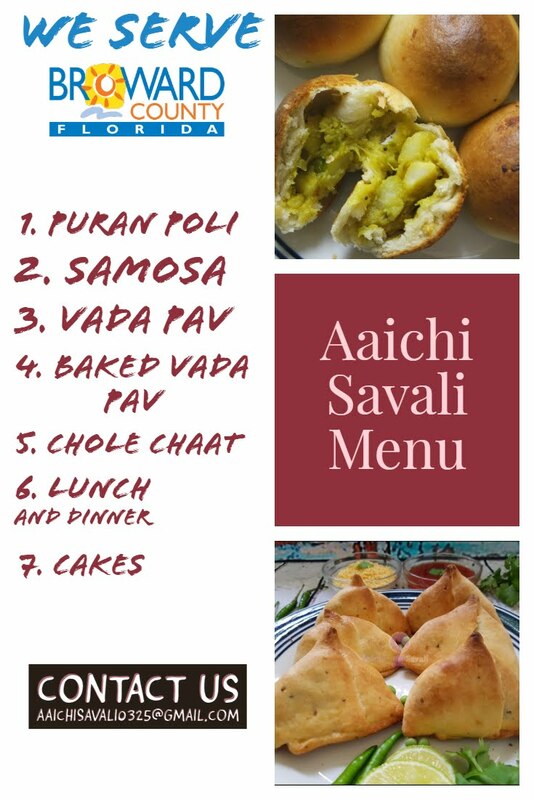 They are super easy to prepare, and there are lots of combinations that you can make. I suggest to make them for breakfast, and today I present one of my favorite combination, beetroot appe! So let's start. Preparation Time:15 Minutes; Cooking Time: 10 Minutes. Each serving of Beetroot Appe contains 30 calories. Grind bread slices to make the consistency like bread crumbs. Now, in a bowl add grinded bread, semolina, yogurt, and some water mix well and prepare a batter. grated beetroot mix well and keep it aside for 15 minutes. Meanwhile, heat oil in a kadai, add mustard seeds, cumin seeds and green chilies allow them to splutter and add this to prepared batter. After 15 minutes, to the batter give a good mix, add water if required. Just before preparing appe to add baking soda and mix well till it turns frothy. Now, heat the Appe pan over medium flame and add few drops of oil in each of the mold/grooves. Pour 1 - 2 tbsp batter into each groove/mold, cover and cook for 2 to 3 minutes and when the underside begins to brown turn the appe to the other side. Drizzle some more oil at intervals, only if needed or if the beetroot appe are sticking to the sides of the pan. As it cooks, continue to turn it until all sides are completely brown. Tada, flavorsome, non-fried beetroot appe are ready to serve. Serve hot with coconut chutney or with yogurt. Enjoy!!! Do not worry if your batter is watery, bread and semolina will absorb water. You can add other veggies too instead of beetroot or with beetroot. 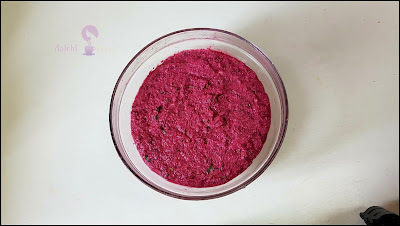 If beetroot is not available, you can use beetroot powder. Calorie count is based on a 2000 calorie diet. 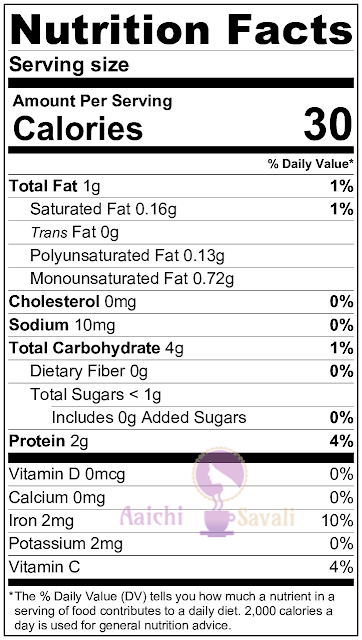 Per serving contains 30 calories, along with 4.34 g carbohydrates, 0.78 g fats, and 1.53 g protein. Beetroot is a good source of folate, and it helps prevent neural tube defects. Beetroot helps to lower blood pressure, nitrates in beet help widen and relax blood vessels. It may improve muscle power and strength. Nitrates may help increase blood flow to the brain and help prevent or slow dementia. Beetroot is low in calories and has no fat. Helps to boost the immune system and healthy bones and teeth. It contains betaine, and it may help protect the liver from toxins. Helps prevent anemia and iron deficiency. It is good to eat beetroot appe for breakfast, lunch, and snacks.